Box App for Android: What is in the Store? Access your digital properties from anywhere of the world, with the help of Cloud Storage Apps. There are plenty at the App Store and Google Store, out of which I tried the Box for my Android. Get a glimpse of it, if you want to try the same. For increased productivity, the most apt service that we get online today is the File-syncing and Storage service, which is now called as Cloud Storage. Currently Google Play Store has many such apps which offer you free and premium storage services. Today we will review yet another free app for cloud storage where one gets free space of 10 GB with maximum of 250 MB of single upload. If you want anything more than this, then you have to shell out a $10 per year and you get 25 GB of cloud storage. 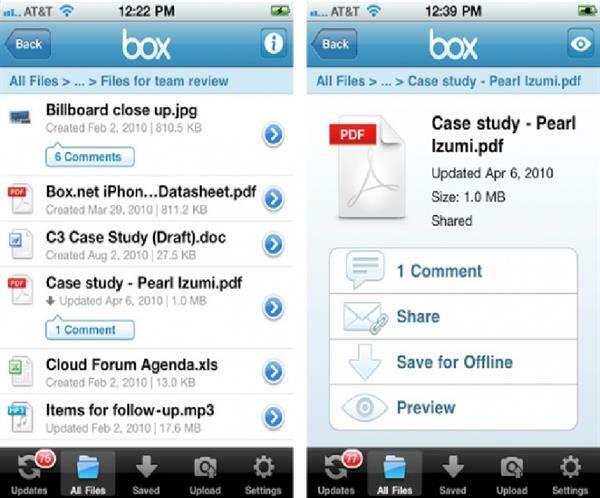 In comparison to other cloud storage apps available around, Box is one of the most basic app which is focused only on uploading, downloading and sharing files. It is a simple app that makes sure that you get access to your stuff from irrespective of your location and time zone. If you are looking for some advanced features, then Box is definitely not the one. But for those who have a lot of stuff to be handled online, and most of them needs to be edited in frequent intervals, then Box in its free version is one of the best pick to get loaded on your Android device. Even with numerous other rival cloud storage app being around, the Box has come up to the first row for Android users because of some unique performance. Let's see what are they. The Box App on Android is integrated with a holistic ecosystem for its supported apps. This makes way to create a new file and edit it or other existing files with ease. The first step would be to save them to the user's Box account, and then go ahead with the task of sharing them with others or to your own multiple accounts. The interface itself shows that the app has no intention of fantasizing but concentrating only on its functionality and being there simply to navigate you through the tasks. Its quite possible that this "without-frills" disposition has given Box a "tried and true" name in the field of file-syncing and space sharing, and nevertheless this particular Android app has not disappointed its users. On my Coolpad Note 3 Lite, the app got installed without a jerk, and initially I started using it without any companion apps. I got an instant view to all my files and folders that I have stored in my Box account, which I created just after I installed the free app. It felt quite secure to see all my stuff being visible and accessible at one place. I found the interface with a bare minimum look that was significantly clean and work-oriented. There were no heavy icons, unnecessary play of colours and the fonts too were ordinary and regular. To protect my data I was prompted to add a password to the Box app and there is an option to invite other users or collaborators whom you want to give permission to edit or view your documents. To make these changes you need to navigate towards the permissions control setting, where you would get to see this option of sending invitation to other editors or mediators. One can even send a link of any file,folder, sub-folder to your Box account where you will find an additional permission category like "public" "collaborators only"and "private," which allows you to disable a link if you want to change the permission status. c. Uploading new files of documents, photos, videos, spreadsheets and so on that were saved on your Android device. Box is available at multiple levels. It is available FREE, and has got Paid Plans for Personal Use, Small Businesses, and Larger Enterprises and has another option called Starter with more collaborative features. By downloading it free, you get 10GB space, with a permission of maximum 250MB file size of upload. By paying a $10 per month, you get worth of 100GB space, where your maximum file upload size will be granted up to 5GB, and other features remain as the same even in the Personal Plan. The Starter is with more collaborative features where it is concentrated to making it easy to manage a team or project. The Starter plans will cost you $5 per month for every individual user and it offers 100GB of space. With a Starter account you get features like file-locking ability and granular permission settings. By paying $15 per user per month Box would give you 1,000GB of space, with a permission of maximum file upload size of 5GB, and more. 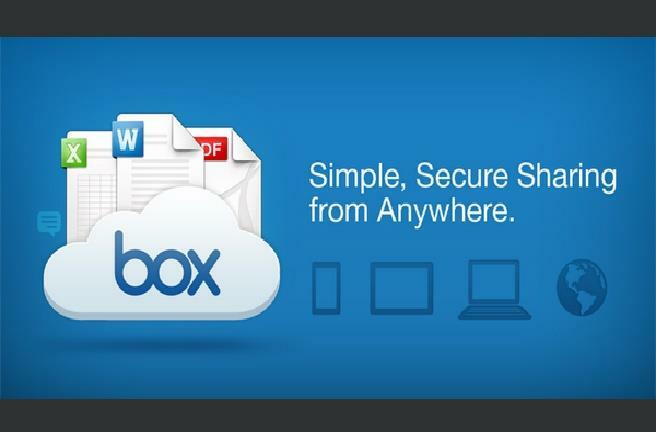 To get it for an enterprise or business Box gives out unlimited storage per user at the rate of $35 per month. Box made me feel satisfied with its remarkable file syncing capability. Its support for offline access to some files was an added advantage that saves money. At the same time one can add and read comments within the app, which was unexpectedly useful and time saving. The holistic ecosystem for its compatible apps was unique and the features are all mobile-friendly that ultimately counts on increasing your productivity. The interface is inviting because of its ease-of-use and even new users wouldn't take time to get the hang of it. There are some drawbacks in the Box that can make you think twice before you go for the paid services. And even in the free app there are certain features which are missed out. And when you get them all at Dropbox, you might not bother to stumble upon the Box anymore. 1. There are no auto-upload feature present in the app for photos and videos. 2. The Design might not impress does not offer a lot of storage space for personal use compared to other web storage providers. 3. Inability to create a new text file. 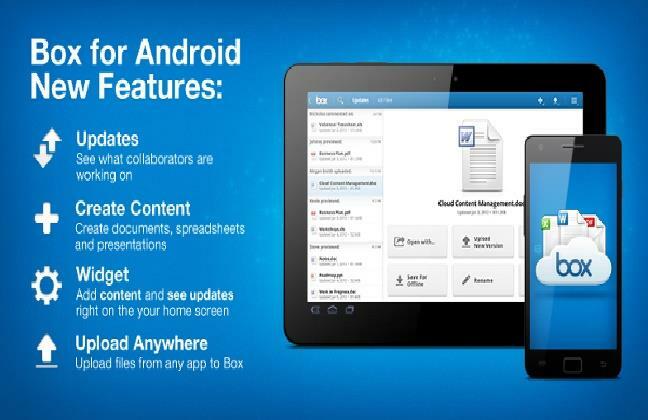 Android functionality, easy file sharing, file-syncing and storage service, are the major attractions for the Box. Though all these services are offered at greater offers by other cloud services, Box can be on the top of the Elite choice, because there are users who want things without-frills and easy navigation. The storage space offered in the Box is quite good for ordinary usage and the priced plans are not unreasonable either.